Property owners have some very basic obligations toward those who are legally visiting their property. Chief among those is the obligation to keep the property and the facilities on it in reasonable shape. 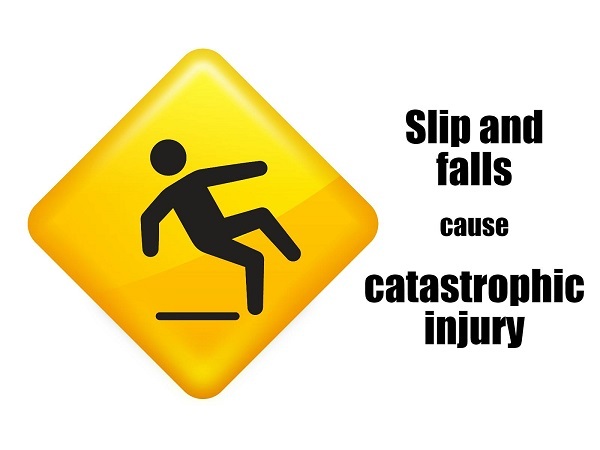 Failure to do so can result in a serious personal injury to an innocent victim. In these cases, the property owner might well be liable for their negligence and the injuries that resulted from it. Our premises liability lawyers recognize the importance of these cases. We take them seriously. We know your injuries are legitimate and the resulting medical bills significant. If you live in or around Redondo Beach, California and you need an experienced premises liability lawyer, please call Kirtland & Packard, LLP today at 310-536-1000 for a free consultation. It's important to remember that a premises liability case can happen just about anywhere – a private residence, an apartment complex, even a huge shopping center. Whatever the size or nature of the facility or property, the obligations are similar. This is far from a comprehensive list. We are fully capable of investigating your accident to determine fault and help you decide if you have a viable claim. Popular culture often mocks those who suffer injuries in these cases, but the reality is that these injuries are serious. Victims suffer broken bones, burn injuries and even serious spinal cord injuries that lead to paralysis. All because a property owner neglected to take certain precautions. Our lawyers fight for victims. That's our mission. There are no promises in personal injury law, but we can guarantee we will provide you with the high-quality representation you deserve after suffering a serious injury as a result of a negligently maintained facility. If you need a personal injury lawyer in the South Bay areas of California with ample experience in premises liability cases, please call Kirtland & Packard, LLP today at 310-536-1000 for a free consultation at our Redondo Beach office.